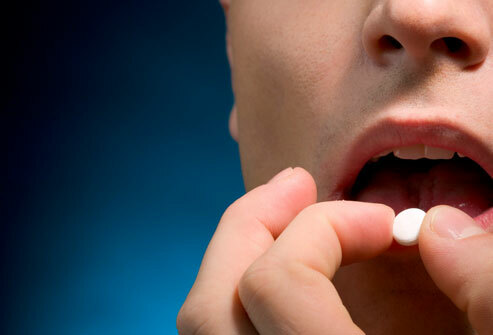 This little pill could be doing more damage than you think. When I wake up in the morning, the first thing I check is my phone: texts, and then Instagram. My texts are usually uneventful, primarily from my mom, probably reminding me about something I will forget in a minute. So my shift to Instagram happens within seconds. Here I’m flooded with photos of two clashing categories: food and figures. At first, I’m taunted by a photo of a creamy, fat filled, vanilla bean ice cream, on a sugary, crunchy wafer cone, topped with hot fudge and crushed captain crunch, forcing me to realize how empty my stomach is. As my mind starts to conger up ideas for a gluttonous breakfast, I’m suddenly greeted by a photo of my once-chubby kindergarten friend, now posing in a bikini, stick thin, thigh gap at least three-inches wide. I’m dumbfounded, envious, and now angry at myself for even thinking about those chocolate chip pancakes I so desired a few moments before. This back and forth continues until I get bored of viewing people’s photos, and I decide I just need to get on with my day. However, at this point, the dichotomy between the scrumptious food and the frail bodies has left me feeling twisted and guilty, affecting the way I’ll eat and view myself for the rest of the day. This kind of struggle is not unique to just me. It’s no surprise that social media and eating issues are correlated, as we are now living in a generation that doesn’t allow you to escape the pressure of thinness. It appears that we celebrate food and female bodies now more than ever. We embrace ourselves in our nakedness, all while munching down on delectable, delicious food. But each and every one of us knows that it’s not a celebration, it’s a way to shame — even if not purposely. It shames those who actually ate the entire pizza that was posted in the photo and shockingly isn’t 95 pounds. It shames those who post photos of food and then don’t eat it, making them a fraud. It shames those who don’t eat food and as a result is a stick, insulting a real disease: anorexia. And it shames those who no matter what they do, will never have the body of Miranda Kerr. In fact, according to the National Association of Anorexia Nervosa and Associated Disorders, media has a direct effect on society’s perception of thinness. In 1991, 81% of 10-year-olds (yes, 10-year-olds) stated that they were afraid of being fat. Imagine how that number must have increased as the exposure of models and unhealthily thin women are now shown through so many outlets. I was a victim of it as well, but in 2010, I thought I discovered the answer: I found one little fix, a quick fix it, if you will, that would let me have my cake (take a picture of it), and eat it too. I would order whatever I wanted for dinner — Serafina’s truffle pizza with lobster ravioli, crispy rice with tuna, you name it. And then, regardless of how full I felt, I’d pop a couple of tiny pink pills, and wake up the next morning feeling empty and skinny. The pill? Laxatives. We really don’t like to talk about them because they’re gross. They are “unladylike,” if you will, making it an uncomfortable topic. I’m not going to lie — I feel icky even writing this as it is so out of character to discuss such business. No one wants to disclose what they do in the bathroom, and no one wants to hear about it. Because of this, it was an easy secret to keep, and one that kept me feeling pretty. However, what went from taking one or two pills after a big dinner, quickly became four or five almost every other day. I went from taking them, to being dependent on them, to basically living on them. I got on this vicious cycle that resulted in a need to take these pills even when I didn’t indulge in a huge meal, which in turn gave me horrible, gut-wrentching stomach aches at night. I didn’t understand what was happening, and because it’s such a taboo topic, I was too embarrassed to ask for help. Within a few months, I was throwing up at night from these horrids pills, but I just couldn’t get off them, even when they actually stopped working. Embarassed, in pain, and no skinnier than when I started, I finally went to a doctor. The issue with these pills is that they do not make you lose weight. Even when you feel that you are flushing out all the calories you consumed, rushing the process of digestion, in actuality most of the calories and nutrients from the food you ate has already been absorbed in the small intestine. The feeling of being empty is just the temporary loss of water weight, but, that feeling of being “empty” makes you feel light and open. There are various types of laxatives: bulk forming laxatives, stimulant, lubricants, softeners and saline laxatives. Some of the most common ones that are abused are oral laxatives, such bulk forming (think Metamucil and Citrucel) and stimulants (like Ducolax). Bulk forming laxatives absorb the water in your intestines, swelling to form a bowel movement. The issue is that they are just dehydrating you, causing the loss of minerals, electrolytes and fibers. So while you may wake up with that feeling of “emptiness,” once you have a glass of water, you’ll be right back to where you started. Stimulants, on the other hand, act on the intestinal wall by increasing muscle contractions, moving along business. So again, not really doing anything about the food that you still have yet to digest: all the calories you ate the night before will be digested before a stimulant will do its work. The issue with laxatives is the feeling it gives you; it sounds stupid because we know that they aren’t truly causing weight loss, but it is liberating to wake up feeling like there is nothing in your stomach. It is almost like a fresh start. According to the ANAD, 50% of female college students in the US practice unhealthy methods of weight loss, laxatives being one of the major strategies, and sadly, one that goes unmentioned. Since it is never spoken about, the health implications are unknown to so many as well. According to the National Eating Disorders Association, laxatives cause a disturbance in mineral balance; you lose so much sodium, potassium, magnesium and phosphorous, all of which are essential for proper function of not just the colon, but muscles and the heart. Severe dehydration occurs, resulting in tremors, weakness and fainting. Abuse of these pills also results in dependencies, which means that the colon stops reacting to usual doses so you have to keep upping your amount, and without them, you are unable to properly digest and pass along food. Lastly, and severely, your colon can be destroyed, resulting in the inability to control or hold in bowel movements. Your risk of infection and even colon cancer increases. I, like so many others, often ignore side effects because I thought it would never happen to me. Well, believe me, this is not a “1 in every 1,000,000 person will be affected” situation; these things happen. I have had so many head rushes and dizzy spells because of dehydration, and I was completely dependent on laxatives. I was like a drug addict — I was scared to not take them. I was anxious every night if I couldn’t find a time to privately pop my pills. My dosage was constantly increasing, and I couldn’t function properly without them. And the worst, most embarrassing effect of these pills is the fact that your bathroom functions are out of your control. So many pairs of underwear and pants have been ruined because of these evildoers. Here is what you need to know: laxatives are a way of purging, and they are harmful when taken unnecessarily. There is no way around it. At first, in a weird, twisted way, they seem glamorous. 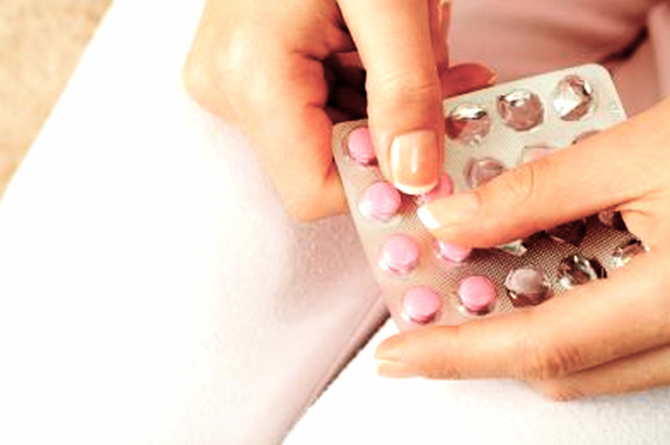 You take these tiny little pills, and while the nights are painful — filled with cramps that are almost unbearable — you wake up, make a few trips to the restroom, and all of a sudden your stomach is gone. You physically feel lighter. And this is why these pills are so scary. The feeling it gives you does not represent what it actually does, or the harm that it causes your body. But, in combination with dieting and excess exercise, you will obviously lose weight, but the three are a lethal combination. If I can send a message to anyone out there struggling with these pills, it is just to know that they are deceptive. They appear to be safe since you can buy them at any age at any drug store. They are recommended as a safe treatment for constipation so they don’t seem dangerous. They are tiny, harmless looking pills (some are even pretty and pink). But please know, they not only do nothing for your weight, but they will cause severe internal damage. Stop the laxatives and instead opt for a natural way to lose weight: drink lots of water, exercise, eat prunes if you need that extra kick to get things moving. But don’t look for happiness or beauty in an over-the-counter box of pills. Embrace your body like Nicki, flaws and all.